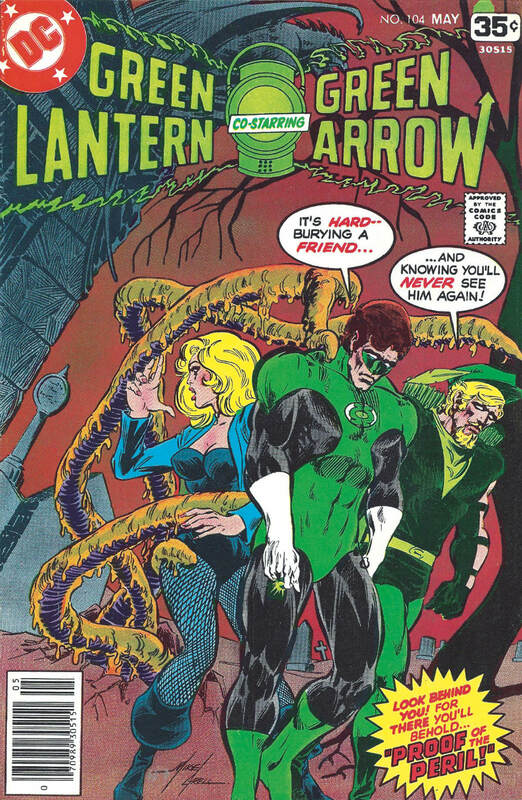 Mike Grell saved DC Comics from itself. 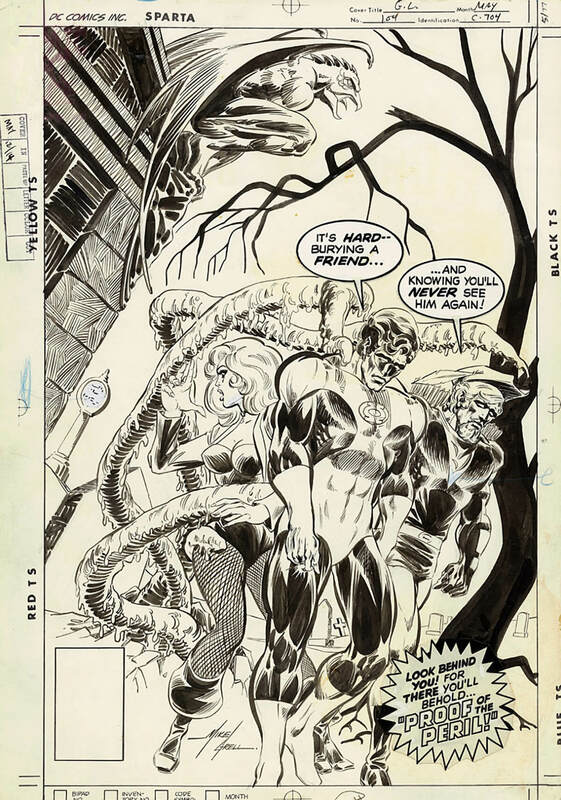 He came along just as DC made things very unwelcome for Neal Adams, the artist who had modernised American comics and saved DC from itself a few years before. Mike probably came cheaper then. He was also full of energy, produced more pages than Adams; his tight, detailed work exuded freshness and fun, and we ate it up. 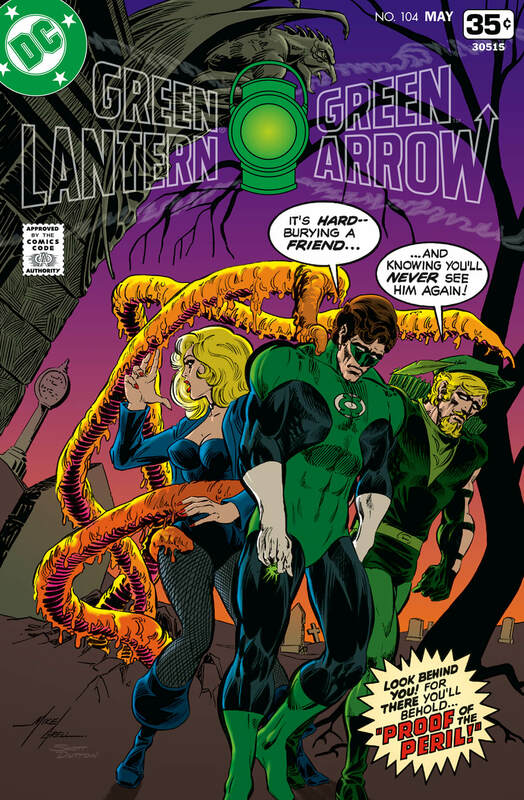 Grell made his mark, from Aquaman to Batman to the Legion of Super-Heroes to his own The Warlord, and the revitalisation of this DC character: Green Lantern – which led to GL’s upgrade from back-up feature in The Flash to reclaim his own title with No. 90. 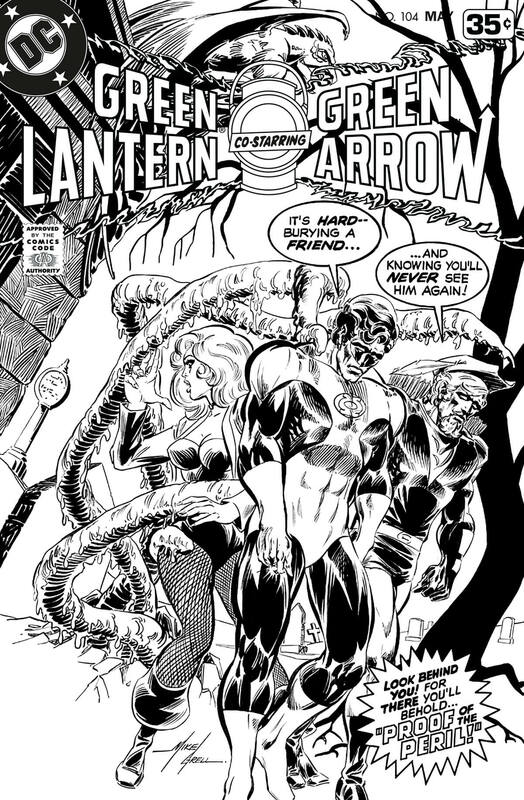 Coming 14 issues later, Green Lantern No. 104 dealt with the death of Hal’s friend Itty, an alien flower-slug thing we all liked. So, of course, they had to kill him. Bastards. Here’s a new colour version. Clean up and art extension, plus the removal of the UPC box. Rebuilt and new trade dress – logos and type – added. Full art in colour without trade dress. 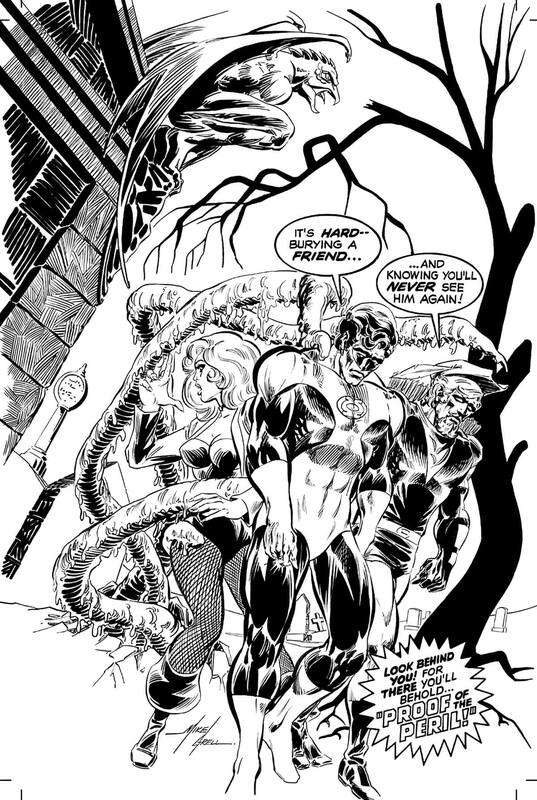 I'm a long-time fan of Mike Grell's The Warlord. It started with me finding issue Nos. 30 and 31 on the stand.